T-SEC starts 2019 with a look back at key accomplishments and a look forward to a bright future. T-SEC was founded over ten years ago when the Hudson Valley was hit hard by a changing regional and global economy. Spurred to respond, a handful of regional corporate leaders, helped by political friend, U.S. Representative Maurice D. Hinchey, focused on encouraging economic growth and prosperity by creating initiatives that foster organic growth in the advanced manufacturing and entrepreneurial sectors. T-SEC’s mission is simple: We support the Hudson Valley’s economic development strategies and “Next Generation” workforce development initiatives. We do this by listening carefully to and working closely with business leaders as well as academic leaders in a six-college consortium of Hudson Valley Community Colleges. We also work successfully with Economic Development Agency partners, especially The Orange County Accelerator. To date, T-SEC has been awarded over $5 million of NYS capital investment. Importantly, this investment is leveraged by over an additional $10 million from our private and public partners. Before you can print a 3D model, you have to prototype it. Here, a SUNY Rockland CAD expert works with a small business owner. They are prototyping a design she created. She runs a hugely successful online kraft-classes website. For many of her classes, she sells her students’ starter kits. This starter kit model was built at our 3D center in Haverstraw at the SUNY Rockland SMARTT Lab. With this funding, T-SEC partners have created over 250 jobs in the past three years:50 manufacturing jobs at established companies, and the remainder at 28 start-up businesses now housed at the Accelerator’s Newburgh, Middletown, and New Windsor incubators. Installed high tech equipment at 20 facility sites of partnering manufacturers, community colleges, and incubators. 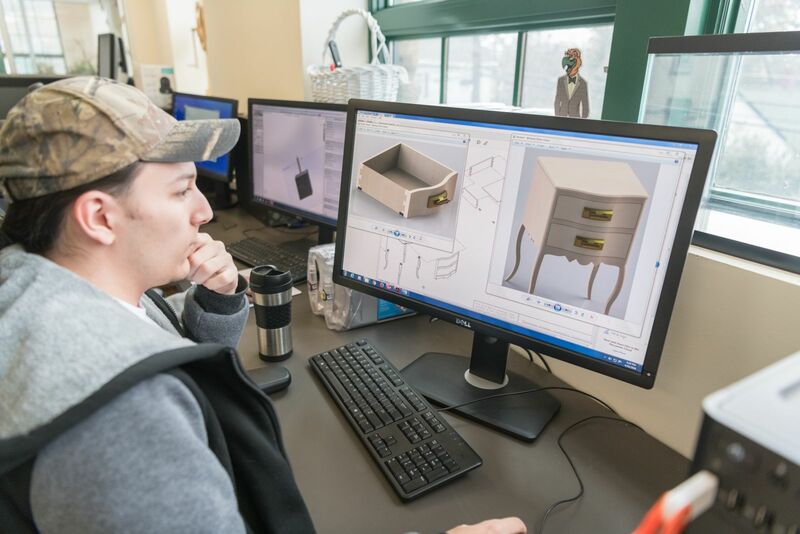 Partnered with Kingston manufacturer Fala Technologies and SUNY Ulster’s Development Center for Business to create a technical program that helps manufacturing engineers and shop workers remain competitive on an international level. Provided the equipment supporting the rollout of a groundbreaking NYSDOL-approved workforce preparation initiative, The Manufacturing Apprenticeship Program. When fully implemented, this program will train unskilled workers and certify them to perform higher-skilled manufacturing operations. Provided fashion design CAD systems, fabric preparation and sewing machines for the resurgence of the fashion production in the Hudson Valley. Equipment is used for seamstress training and by fashion manufacturers, including Zielwear, an exciting Newburgh startup bringing 50 jobs to the city in 2019. As we begin in 2019, we are seeing lots of activity on the horizon. 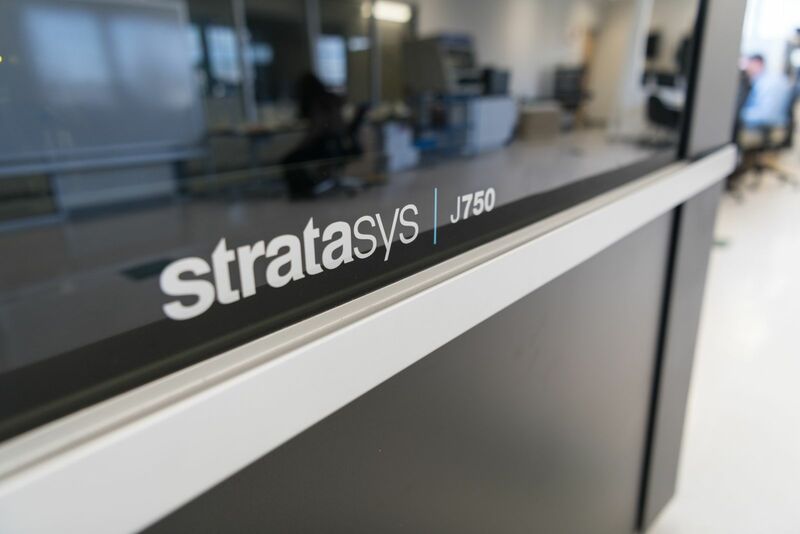 We look forward to growing the 3D Print Center at SUNY Haverstraw, as we work with some new assistive technologies clients, and partner with some proprietary platform companies to bring events to the Hudson Valley. 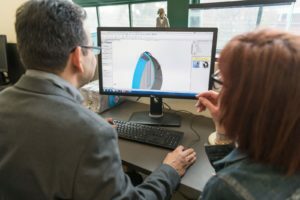 We want makers, manufacturers, and students to discover the many unique opportunities for jobs 3D promises, and by understanding the various platforms, we believe interested parties will pursue classes, prototype for industry, and start businesses to serve the growing medical 3D print field. More on that in the near future. We also look forward to welcoming the new Nyack Food and Hospitality Center which we are helping fund. Its incredible plan to strengthen the local and national foothold of artisanal foods, craft beverages and agro-tourism originating from the Mid-Hudson Valley region, and to support community initiatives for Rockland County residents and nearby friends means we will have lots of exciting stories to share. In Newburgh, N.Y. our partner A River of Opportunities, continues to highlight growth in that community by featuring commercial real estate, growing their Instagram presence and showcasing businesses on Facebook, too. They have a new website is underway and one which will be focusing on the many existing and new services and manufacturing businesses in Newburgh. Included in that group is the fashion cluster growing on upper Broadway, thanks to our friends and important Economic Development Agency partner, The Orange County Accelerator. Stay tuned as we update with you with news and accomplishments from all our partners throughout the Hudson Valley! It’s an exciting time to be here, and we are looking forward to sharing our economic development and workforce initiative news and successes throughout 2019 and beyond! You can also visit our map which shows the locations of all of our partners throughout the Hudson Valley!